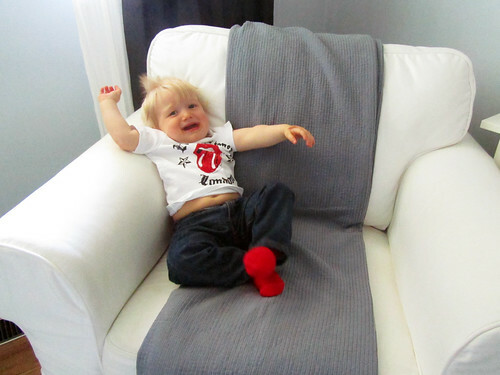 The A & B Stories: Benjamin - Thirteen Months Old! 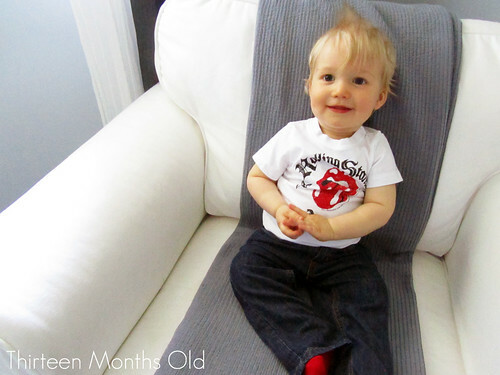 Benjamin - Thirteen Months Old! Yes, I'm posting this a day late. And YES, I took it a day late. SO WHAT. You can give my awesome Mom badge to someone far more deserving, I'll understand. I was busy shopping. Oops. Anyway, this one was tough to get. Ben was NOT in the mood. As seen in exhibit b. Happy birthday Benjamin! Sorry for the torturous picture taking. Forgive me. He he! Your little guy also has extremely kissable little cheeks!